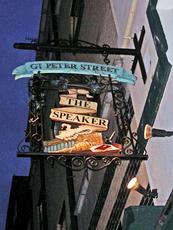 Quiet corner pub in the back streets of Victoria/Westminster. Cheapest pint of the day in three pubs visited. £4.90 for a good pint of Landlord. One of my favourite pubs, others posting have got it right, but..... that evil lying barstool Farage drinks there occasionally. That kent should stay in Kent. Not yet put it to Dennis that it his Farage or me. One has to go. After an unpleasant stop at the hopelessly up itself Sanctuary House I was in need of some pub normalcy: this place is as normal as a pub gets. A couple of small groups chatting, a couple of singletons reading newspapers, friendly service. My pint of Timothy Taylor Landlord (4.50) was more than satisfactory. Sanity restored. Amidst the gloom and despair that shrouds the hospitality industry there is the shining beacon of light that is The Speaker. Whilst other establishments flounder and sink, this happy ship continues to sail merrily on and on and on. 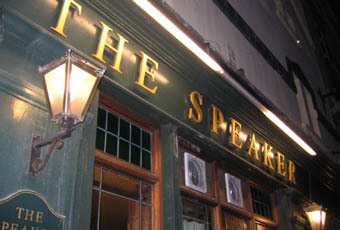 Manned ably by Yuri and staff and with the tireless Dennis' assured and steady hand on the tiller, this is THE pub to visit in Westminster. One can happily chillax away an evening (or three!) in this place knowing that there is no length these guys won't go to to meet your every need. Just where do they get the energy!? Say yes to this place, visit at least once before you die! I recommend this place, it's quirky and friendly. The Thai food is to die for! Literally!